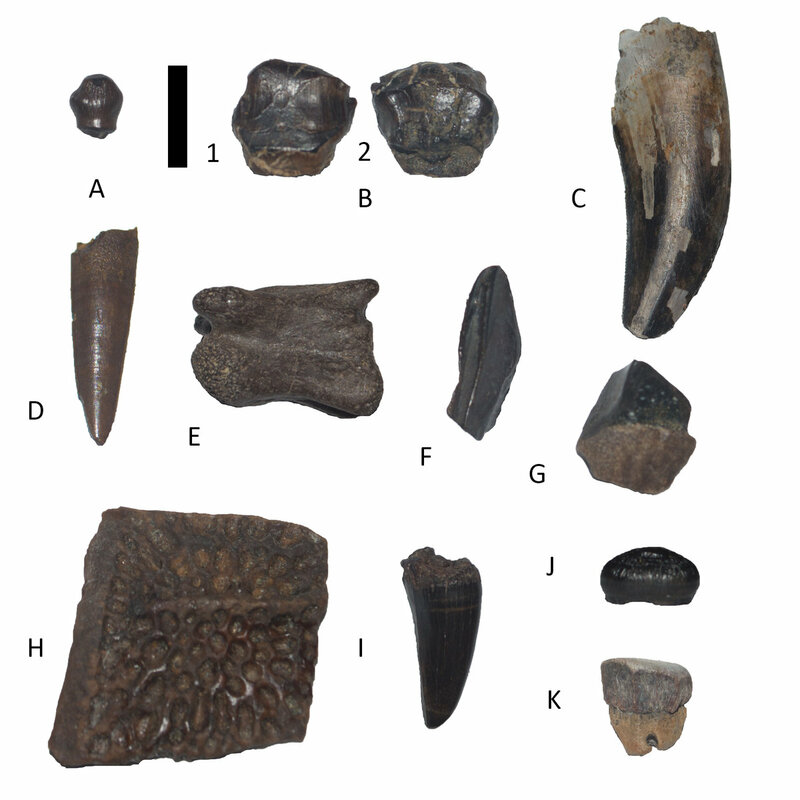 Teeth and Bones from Hell Creek formation, South Dakota, USA, Maastricthian, Cretaceous. A. - Thescelosaurus neglectus tooth. B. - Denversaurus schlessmani tooth. C. - Nanotyrannus lancensis tooth. D. - Richardoestesia sp. tooth. E. - Dromaeosaur tail vertebra. F. - Edmontosaurus annectens shed tooth. G. - Triceratops sp. shed tooth. I. - Borealosuchus sternbergi tooth. J. - Brachychampsa montana tooth. K. - Myledaphus pustulosus ray tooth.